Composer Nobuo Uematsu has joined Final Fantasy VI's art director Hideo Minaba in working on the mobile JRPG Granblue Fantasy. As much the franchise's designers and directors have guided and shaped it, we're going to go ahead and peg composer Nobuo Uematsu as one of the most important creative figures to grace the Final Fantasy franchise. His music, besides being some of the most objectively complex the industry has ever seen, has frequently lent the series an aura and emotional resonance that has arguably helped lift it to greater heights than it might have otherwise achieved. Put shortly, there's a reason so many gamers remember the opera scene from Final Fantasy VI. Speaking of Final Fantasy VI and Nobuo Uematsu, it was recently revealed that the famed composer will be teaming up Hideo Minaba, the art director for that classic, to help fashion a new RPG experience due out next year. 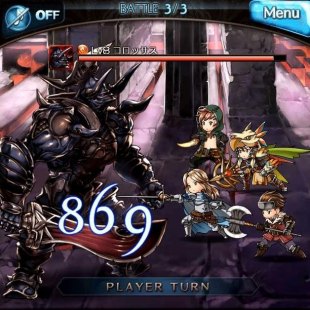 Granblue Fantasy, which is being developed by the Japanese developer Cygames, is being built for mobile platforms and will feature a command based battle system in addition to character designs by Minaba and music by Uematsu. Uematsu apparently became interested in the project when was asked if he would consider composing an Irish-style song for the game. Being a fan of Irish music, he signed on for the project which he thinks his "fans may a feel a sense of nostalgia from." While there is currently no word as to whether or not Granblue Fantasy will be heading to western shores, you can count us among the those hoping for a localized release.